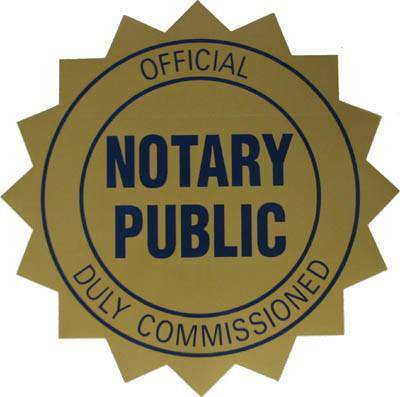 A notary public is an agent for the state. They are appointed by the office of the Secretary of State to witness by and official seal and written acknowledgement, or jurat, the signing of documents as well as administer oath. What type of identification is required for notarization? Each signer must present a current and valid photo ID. The identification must contain a photo, physical description, and signature. Examples of acceptable identification are: driver’s license or state-issued identification card. Does notarization mean a document is “true” or “legal”? No. Notaries are not responsible for the legality or accuracy of documents they notarize. They are responsible for certifying the identity of the signers. The signers are responsible for the content of the documents. Documents are notarized to deter fraud. The notary (an impartial witness) ensures that the signer of the document is who they say they are. Is a Notary Public allowed to give legal advice? No. A Notary Public cannot answer your legal questions or provide advice about particular documents. Copyright © 2019 Notary Spokane. All rights reserved.